After a meeting I came back to my desk to see 2 missed calls from Price. 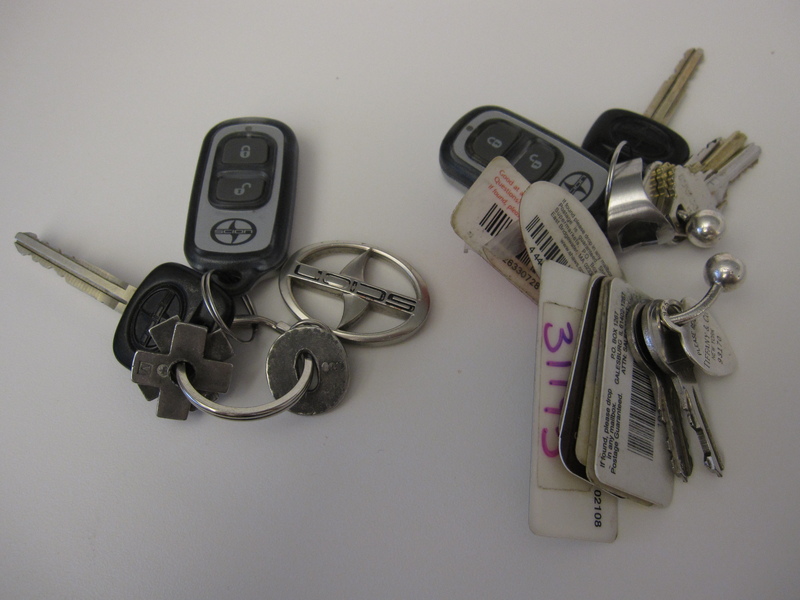 I look in my purse and find my set of keys and his. Uh-oh. Well, that makes getting to work difficult doesn’t it? Filed Under: Living Tagged With: keys, oops!